Reston Town Center now has two large vacant spaces flanking the pavilion after two large, home goods retailers closed three days ahead of schedule. 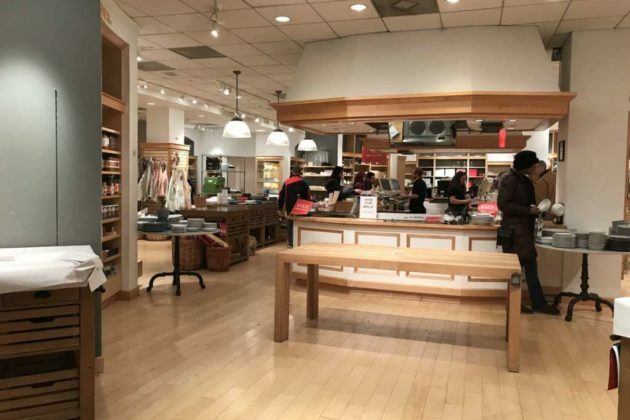 Spokeswomen for Pottery Barn and Williams-Sonoma, which are both operated by Williams-Sonoma Inc., told Reston Now earlier this week that the stores were set to close on Sunday (Jan. 27). Yet surprised customers last night (Jan. 24) discovered that both stores planned to close for good by the end of the day. 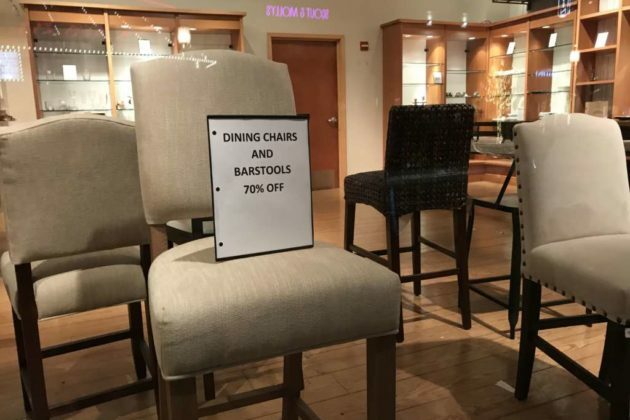 Employees at both of the stores confirmed to Reston Now that Thursday was indeed the final day. Employees at the Williams-Sonoma said that the corporate office suddenly alerted them to the Thursday closing date after telling them that it would be Sunday. 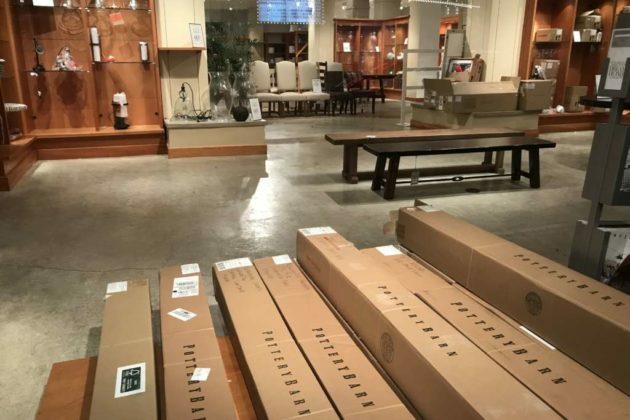 A handful of customers were browsing the last few items left in Pottery Barn (11937 Market Street) when a store employee locked up the doors at 6 p.m. The store had mostly barren shelves, a few barstools for sale and boxes of packaged merchandise. 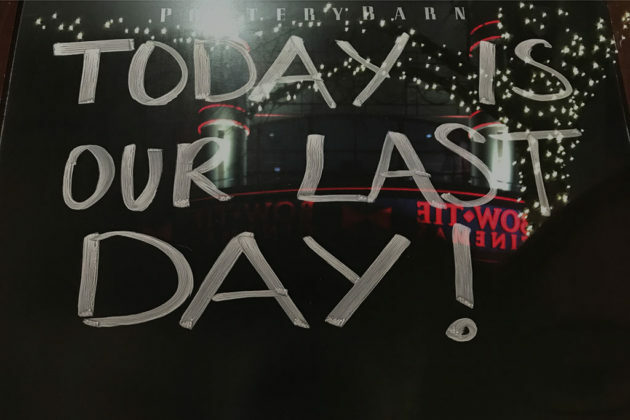 A sign in the storefront window that read, “Today is our last day!” advertised 70 percent off bedding, barstools, dining tables and dining chairs, along with 50 percent off everything else. 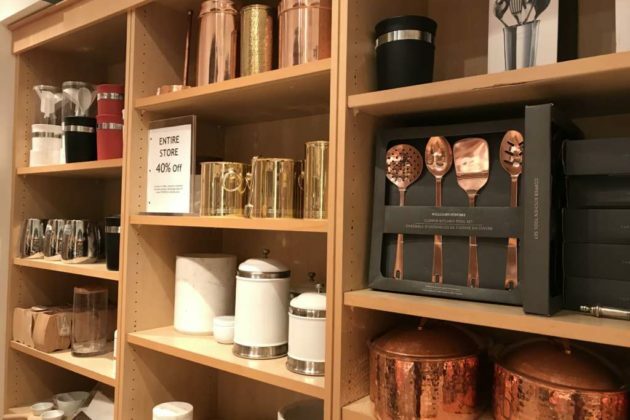 Down the street, the Williams-Sonoma (11897 Market Street) still had a selection of items ranging from kitchenware to candles. An hour before its closure at 7 p.m., about half of a dozen customers were still roaming the store, which offered 40 percent off everything. 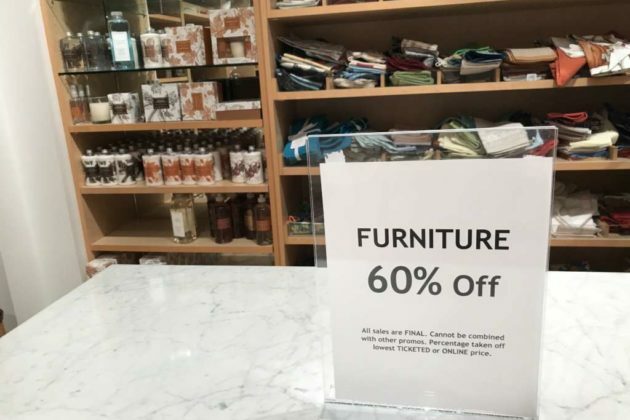 An additional 50 percent off was available for open cutlery, and furniture was 60 percent off. 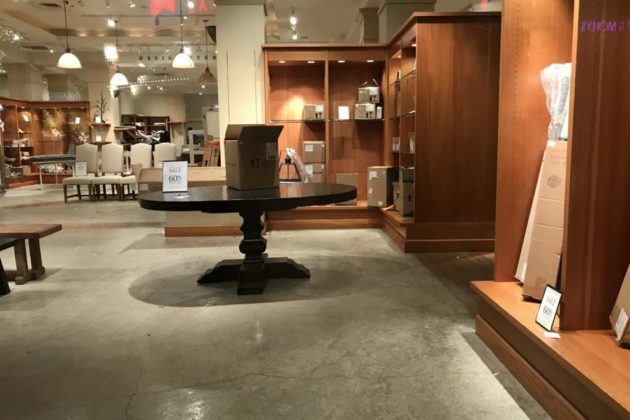 The two closures are the first large retailers to leave Reston Town Center after several restaurants and small businesses left in 2018. While replacements for the now-empty spaces haven’t been announced, Reston Town Center unveiled yesterday six newcomers slated to open later this year, including Peet’s, DC Row and True Food Kitchen. The announcement did not indicate the expected opening dates or addresses. 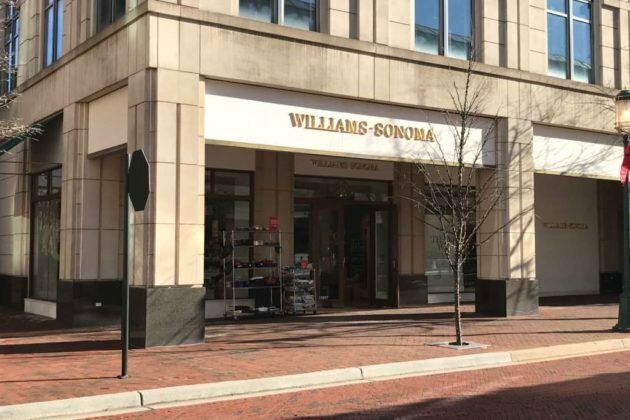 Locals looking for another Williams-Sonoma store can find ones at Tysons Galleria, the Fair Oaks Mall in Fairfax and in the Mosaic District. 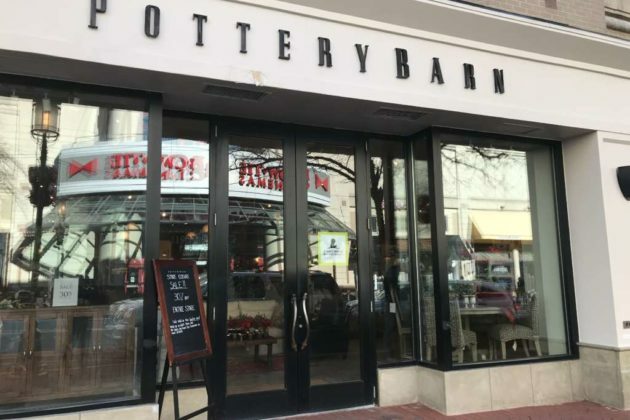 Pottery Barn has locations in Tysons Corner and the Fair Oaks Mall.